In 2011 the Museum of Math was planning to launch a new exciting Museum dedicated to Math. 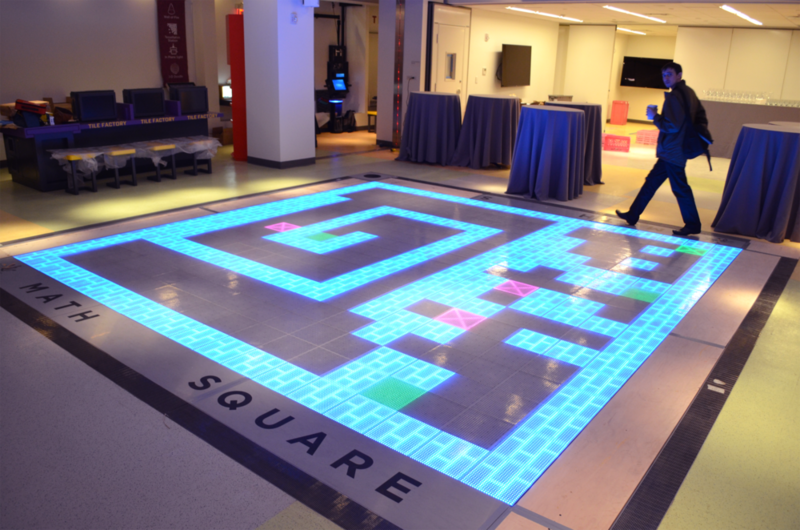 MoMath challenged BrightLogic to develop an interactive floor which could detect someone touching the floor with their feet or hands. The specification for the Interactive Floor required that applications could be developed to display mathematical applications on the interactive floor. At this time, there was no available interactive floor on the market which could handle the resolution requirements from the Museum. BrightLogic's engineers immediately put their heads together to come up with a creative solution, the ActiveFloor was born!